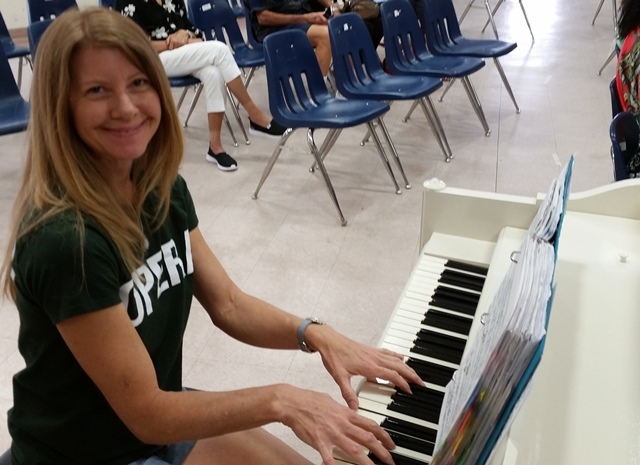 The 2018 Opera in the Schools program began May 21st and ran through June 1. This year’s cast featured soprano Katy Tang, mezzo-soprano Erin Gonzalez, tenor Bernardo Bermudez and baritone and emcee Ben Lowe with accompanist Constance Gordy. Watch the Outreach singers in action here. 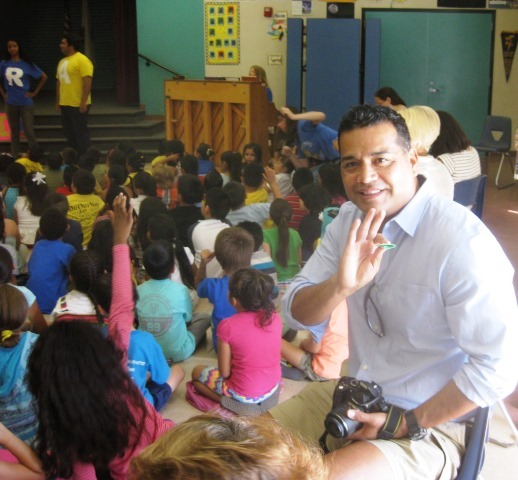 Each year the Guild launches an ambitious Opera in the Schools program for Coachella Valley students from first grade through high school. 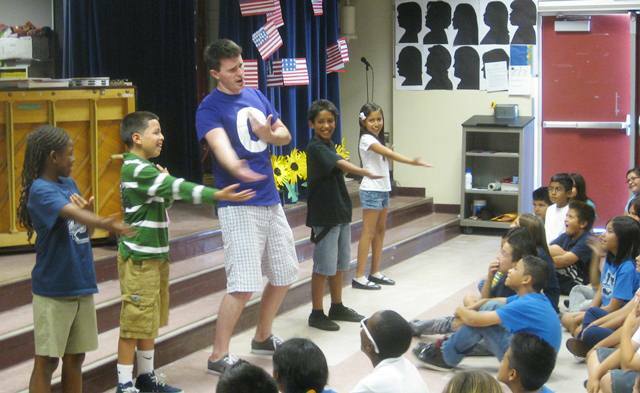 The program introduces the basics of opera to some 15,000 children in schools throughout the Coachella Valley. Artistic Director Andrew Eisenmann oversees the program and baritone Ben Lowe hosts the assemblies with the aid of a group of talented young singers. 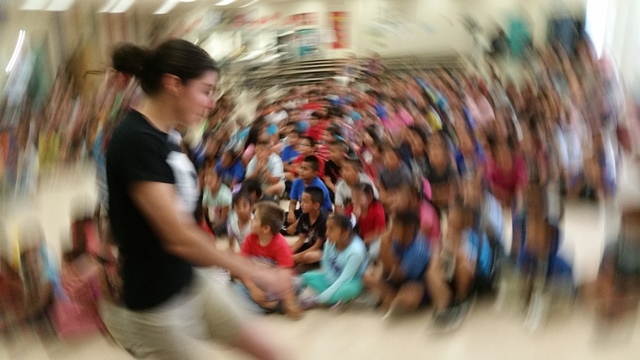 Louisa Castrodale, PSUSD Visual and Performing Arts Director, coordinates the assemblies in the school district. 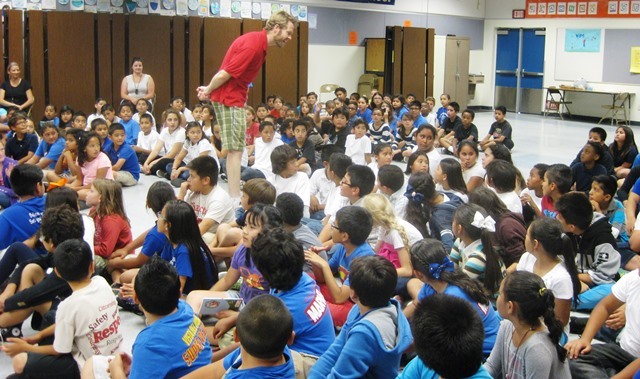 Watch last year’s cast interact with students at the Rancho Mirage Elementary School here. 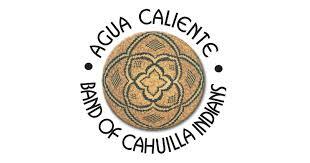 And watch baritone Ben Lowe perform at the Bubbling Wells Elementary School in Desert Hot Springs here. 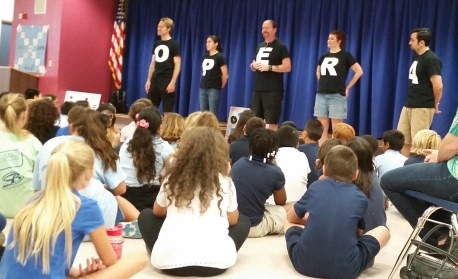 The Opera in the Schools troupe are young, vibrant, and enthusiastic about telling the story of opera in a relatable way that enchants and captivates the students; the program is eagerly anticipated year after year by children and teachers alike. Opera Power is a 40-minute lively, fun look at the operatic art form as well as classical music. 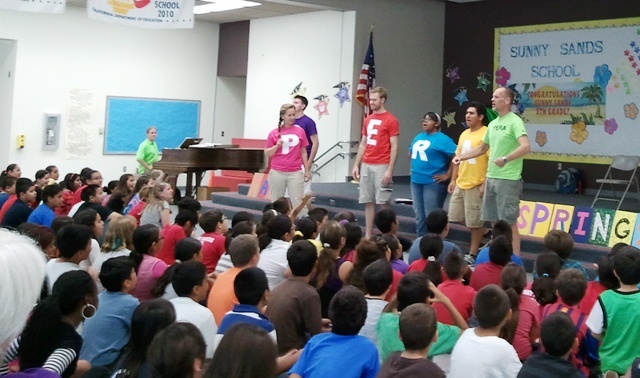 The singers dress in colorful tee shirts with large letters that together spell out O-P-E-R-A on the fronts and P-O-W-E-R on the back. 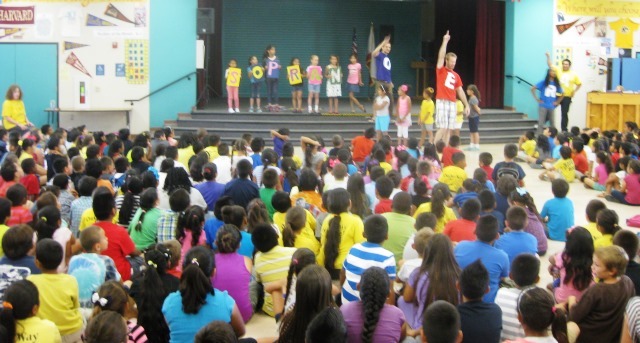 The troupe interacts with the students using song and movement. The students are introduced to the five basic voice types of classical singers and some basic opera vocabulary. A slightly more mature and longer version of Opera Power where the troupe performs excerpts from opera arias, duets, and ensemble pieces. Utilizing audience participation, students are introduced to operatic and musical vocabulary, the basic international languages of sung classical music, and an overview of other aspects of opera – orchestra, lighting, sets, and costumes. A three-hour program that begins with a concert sung by the troupe members followed by each singer working with a group of students with his or her voice type. 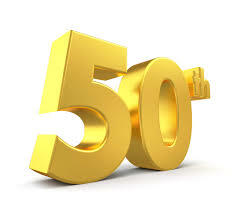 Students demonstrate their ability, are coached by troupe singers, and are inspired to continue their musical training. This program is, in effect, a less formalized version of the ‘master class’ that is an integral part of most university and opera company training programs for aspiring young classical singers and musicians. 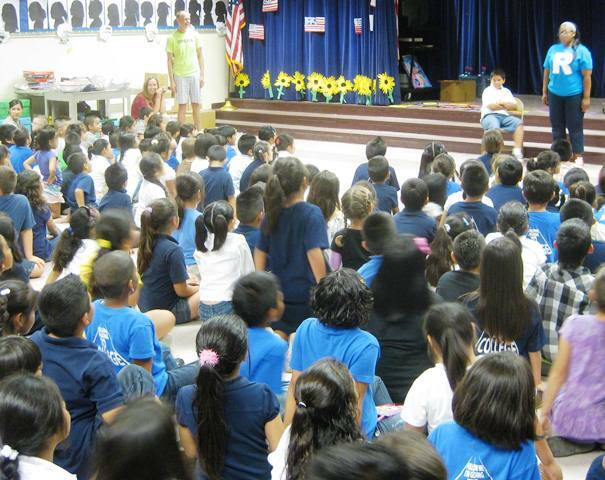 None of the schools included in our student outreach program offer musical arts programs. 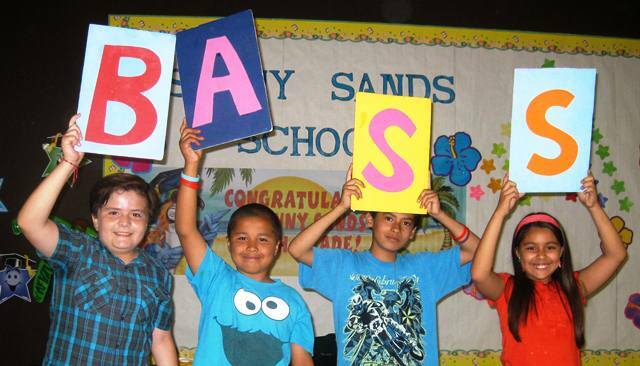 Coachella Valley Schools are heavily impacted by arts education budget cuts and the dissolution of musical programming. In addition, 80% of children in these schools come from the over 20% of families who live below the poverty line, and whose finances negate the ‘luxury’ of after school or private music programs. 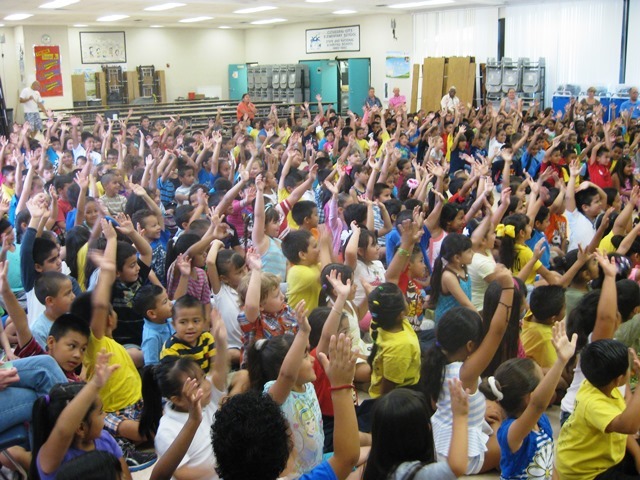 Music is an important component of a rounded education. Studies consistently show that music helps children develop spatial/temporal development, aids in language development and reasoning, improve intelligence, builds creativity, imagination and intellectual curiosity, and keeps children focused and engaged in school studies. 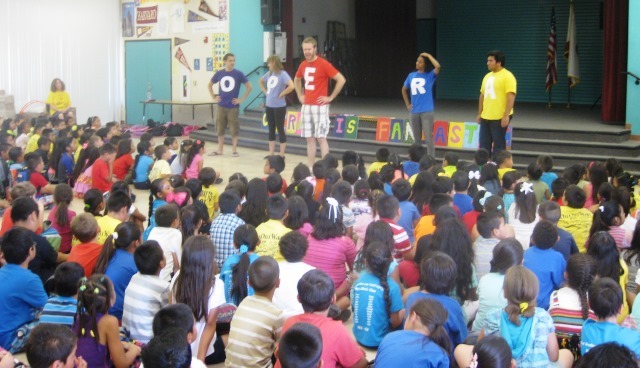 We provide Opera in the Schools free of charge to the entire Palm Springs Unified School District – our educational partner in this outreach effort – and its students. There is an over 90% poverty/free lunch demographic within our public schools, and due to the ongoing fluctuations in public school arts funding, the Guild wholly funds this program. 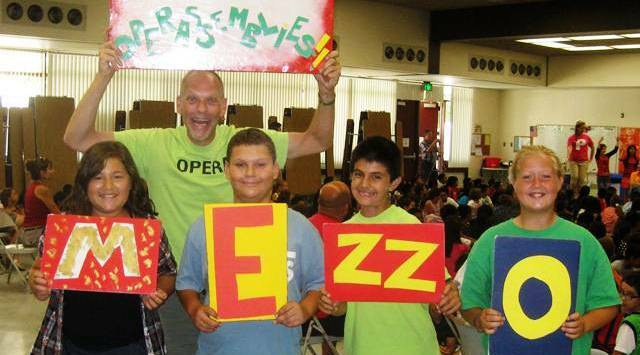 In just 12 years, Opera in the Schools has grown from a five-day trial in one school to a two-week program that positively impacts nearly 17,000 children in 18 schools across the Coachella Valley. 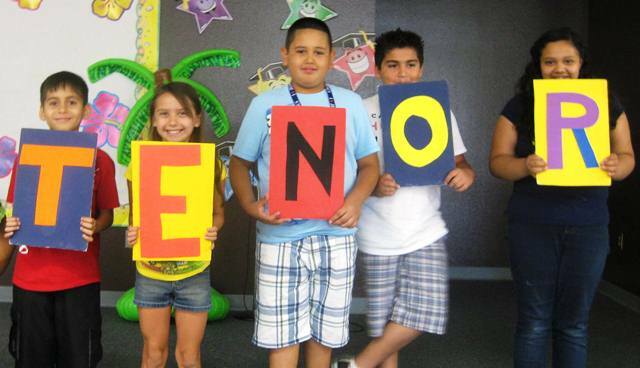 It is an extremely successful program that exposes children to music and affects their lives and education choices. We inspire and enlighten students by demonstrating this unique art form in live performance and continue to foster creativity that will positively impact their development. Click here to see a quick montage of thank you letters from the students. 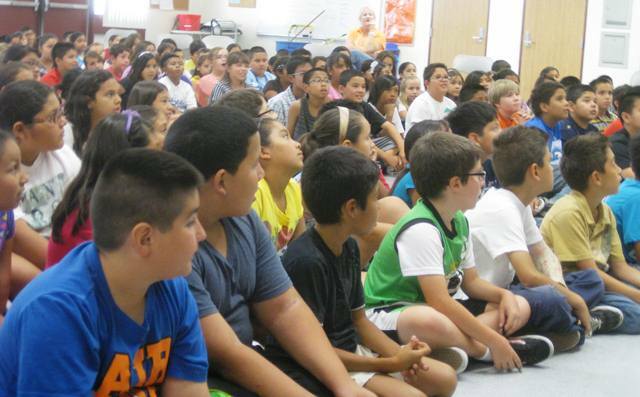 Photos from Raymond Cree Middle, Sunny Sands Elementary, Desert Hot Springs High School, Cathedral City Elementary and Agua Caliente Elementary.